The new age offerings from Tata Motors have been working really well as the company recently announced reaching 100 percent utilization of its Sanand plant. The Indian automobile giant has rolled out over 4.5 lakh units sinces its inception and is presently working on plans for its new-gen models like the Tata Harrier and the 45X that will be based on the modular architecture plans and will carry production of passenger vehicles at both Pune and Sanand to take care of the company's expansion plans. "We, at Tata Motors, have been working aggressively towards our core strategy of Turnaround 2.0, aiming to 'Win sustainably in PVs'. A lean manufacturing process plays a key role in our growth strategy enabling the Sanand plant to contribute around 60% of the overall PV production. The plant has evolved to become a modern, state-of-the-art facility and is playing a vital role meeting aspirations of Tiago and Tigor customers. The plant has already achieved WCQ 3 level in quality standards and we are extremely proud of this achievement" commented, Mayank Pareek, President, Passenger Vehicle Business Unit, Tata Motors. The Sanand plant has been awarded CII's GreenCo Platinum Certification in June 2018. 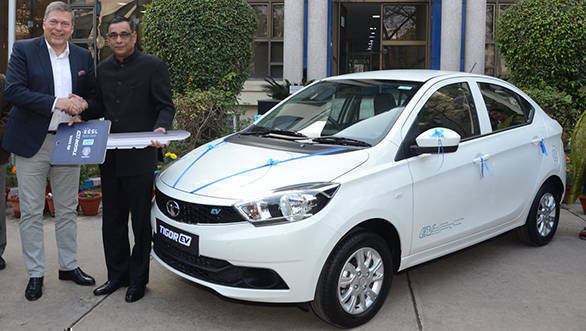 Spread across 1,100 acres, the Tata Motors' Sanand facility started with the Nano in 2010 and presently has multiple models such as the Nano, Tiago and the Tigor models spread across 21 variants with 150 vehicle combinations. Additionally, it also produces Revotron 1.2L  petrol (manual and automatic), Revotorq 1.05L  diesel, 624cc, MPFI  petrol (manual and auto transmission) and 1.2 NGTC  petrol (manual and auto transmission). 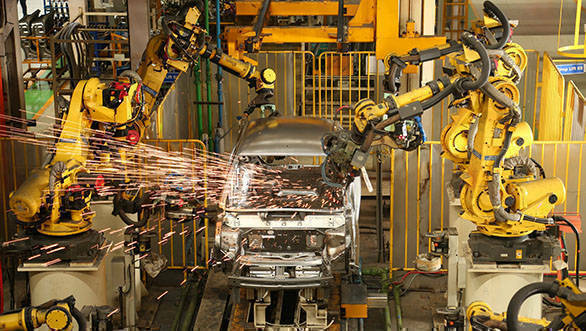 The Sanand facility is considered as one of the most technologically advanced plants. The Sanand plant has been awarded CII's GreenCo Platinum Certification in June 2018. It is a zero discharge plant and has a systematic hazardous waste disposal process. The plant is using 30-35 percent of renewable energy from total power consumption. The plant has commissioned 2MW of rooftop solar panels and off-site wind power mills with capacity of 9MW. The plant has 180 acres of green belt created and nurtured out of waste water. Several initiatives have been taken with an aim to reduce carbon footprint. 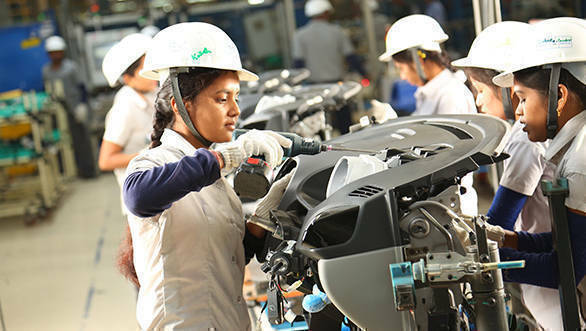 The Sanand plant produced the first electric passenger vehicle for commercial use in the form of Tigor EV and continues to support deliveries of the EESL order.